:Types of the Levitical Offerings. In this study there is much valuable spiritual instruction concerning the incarnation, sufferings and priestly office of the Lord Jesus Christ. Types of the Tabernacle The beauties and glories of the Saviour pointed out in each article of furniture and in many facets of tabernacle service. Solomon's Temple and its Teaching. The author examines the temple in detail with relevant applications to daily living. 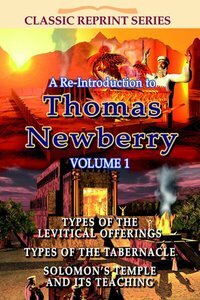 About "Re-Introduction to Thomas Newberry (Volume 1) (Classic Re-print Series)"